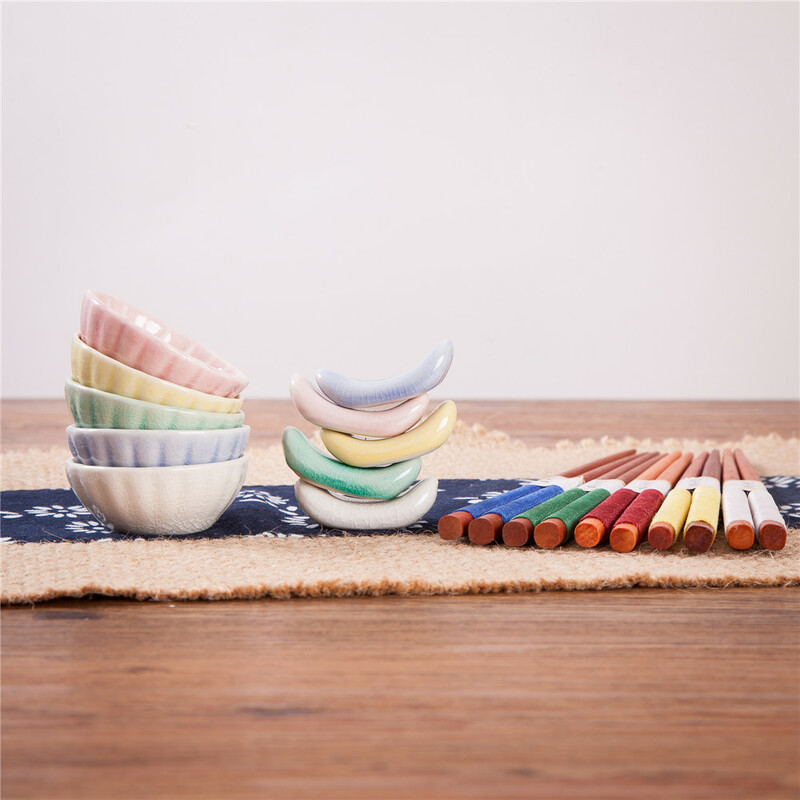 This chopsticks and saucers set is a beautiful, functional and ecologically sound addition to any kitchen. 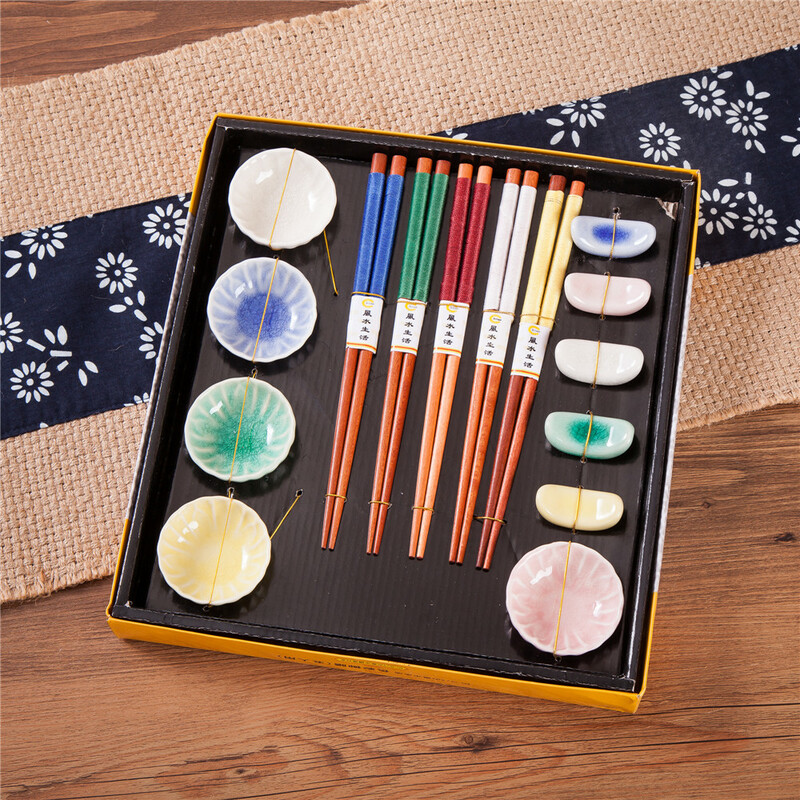 Each set includes 5 pairs of natural wood chopsticks, 5 ceramic holders and saucers. 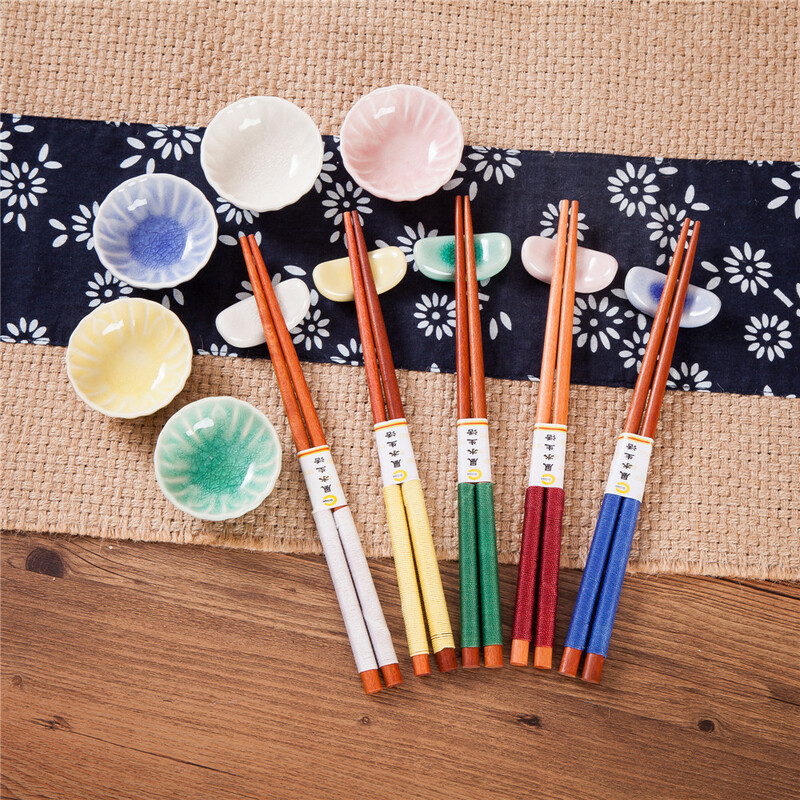 ENVIRONMENTAL AND HEALTHY-Original wood made chopsticks. NATURAL LACQUER-Showing the natural color and grains of wood. 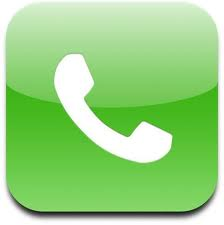 SMOOTH AND SUPERIOR- Simple colorful design with careful manual processing. 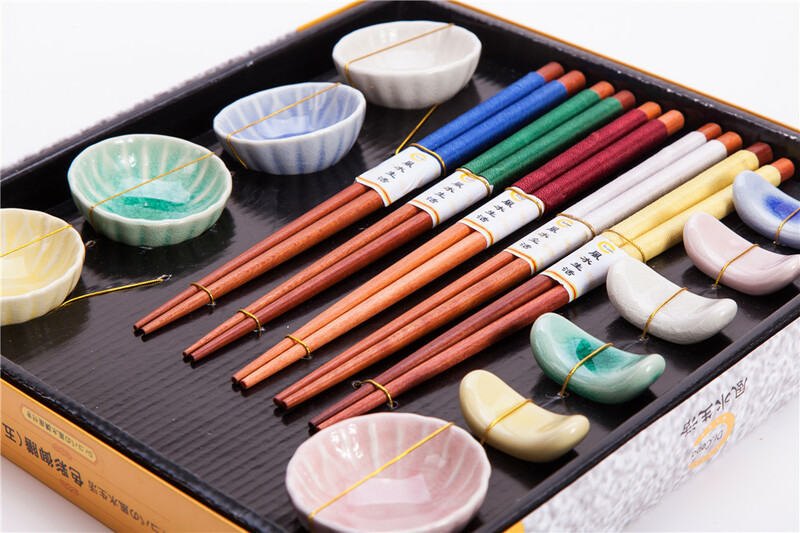 Size: Chopsticks: L9", Saucer: Diameter 2.25"